If you could have a drink with anyone in the theater world, who would it be? Join Anthony Caporale, creator and performer in "The Imbible: A Spirited History of Drinking" as he runs down his list. Each week, he sits down at New World Stages with actors, bartenders, and personalities from New York's Theatre District to get a behind-the-scenes look at what it's like to live, work, and play on Broadway. Come have a drink with us on Broadway Bartender! 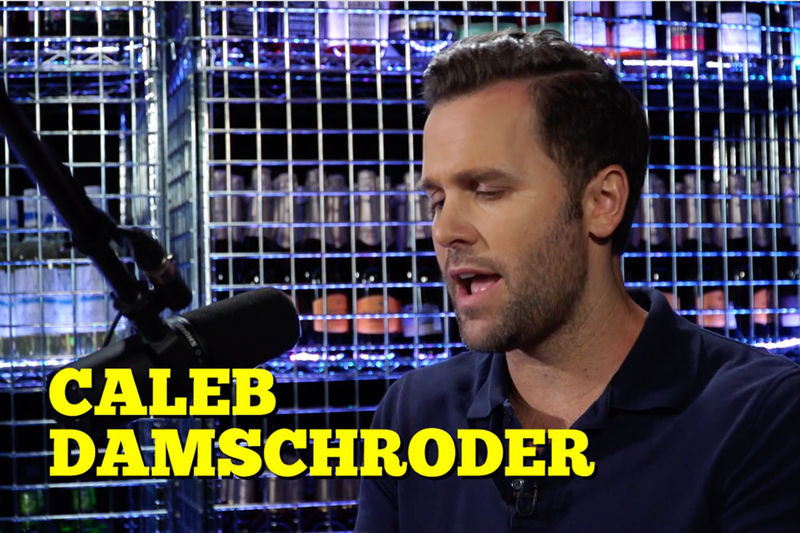 CALEB DAMSCHRODER is an NYC based composer/lyricist and actor. His musical Molly Sweeney (adapted from the Brian Friel play of the same name) headlined both the Bay Street Theatre New Works Festival in Sag Harbor, NY this spring and the 2014 New Works Series at The Human Race Theatre of Dayton, Ohio. He spent last year developing his americana-folk musical Devil's Kin at CAP21 in NYC and the show will be part of the PiTCH at the Finger Lakes Musical Theatre Festival this summer. His musical The Commuters or A Cautionary Tale About The Port Authority was voted audience favorite of the Riant Theatre's 2016 Strawberry One Act Festival. His arrangement of Stille Nacht/Mi Zeh Hidlik was recorded by the broadway cast of Cabaret for BCEAF's Carols for a Cure Vol. 16. He has participated in creating new songs for the charity concerts Muse Match 1 and Muse Match 8. 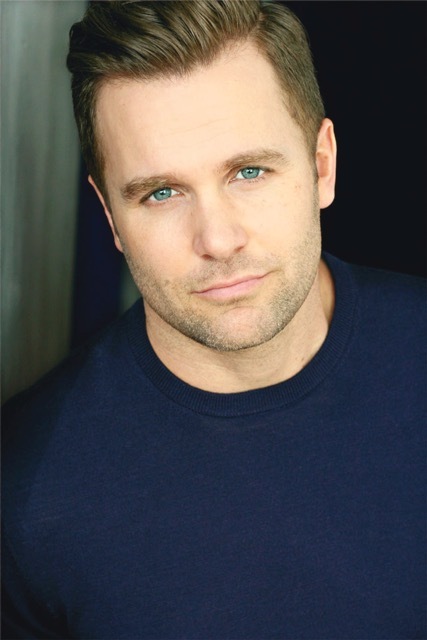 He is a member of the Tony honored BMI Musical Theatre Workshop and The Dramatist Guild. As an actor, Caleb has recently appeared in Broadway's Cabaret at the famed Studio 54, and Paint Your Wagon at City Center Encores. He is a graduate of Otterbein College. 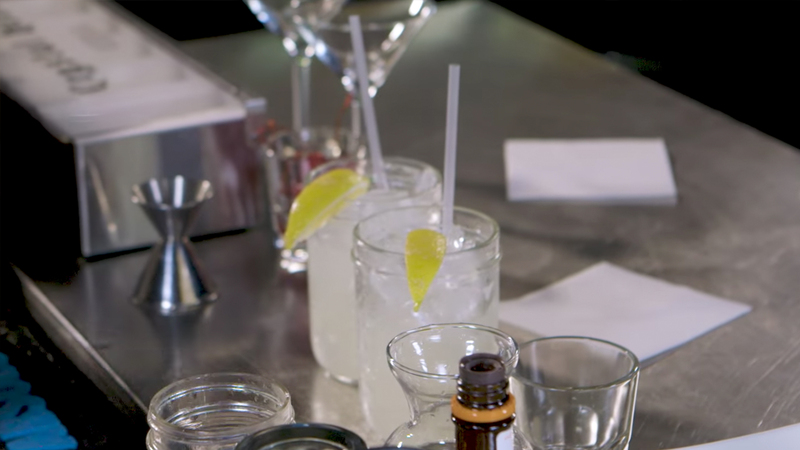 Strain into a mason jar over fresh ice. 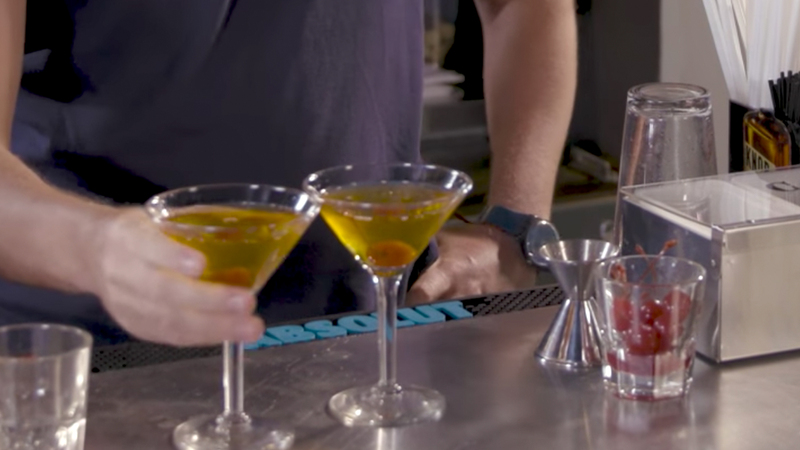 Strain into a cocktail glass, and add 2 dashes Orange Bitters. Garnish with 2 Brandied Cherries.